Comments allow your readers to add feedback to your posts and pages. Comments extend the conversation allowing your readers to interact with you and each other. It’s amazing how even just a few comments can make student realise they are writing for a global audience — for many is incredibly motivating. 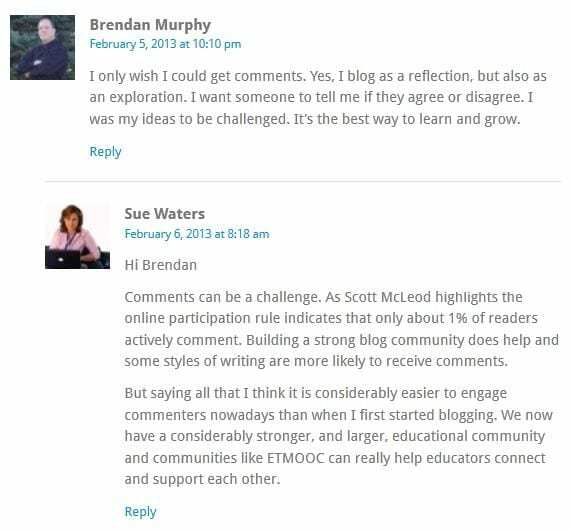 Comments are an important part of both the readers and blogger’s learning process. By default, comments are enabled on all newly created blogs, and a comment form will appear at the bottom of posts and pages where readers can respond to what you’ve written. Approved comments are displayed under the individual post or page, not on the blog home page. Click on the post title to read the comments. The latest comments can be displayed on the blog home page by adding the recent comments widget to the sidebar. The default comment setting on all newly created blogs is ‘Comment author must have a previously approved comment before a comment appears’. This means any visitors that have had a comment approved on the blog in the past will have their comment immediately posted and only comments from new visitors are placed in the moderation queue. Blog owners have complete control of comments left on their blog and can change comment moderation at any time in Settings > Discussion. To moderate all comments you need to change it to “Comment must be manually approved”. Users on the blog who are assigned the role of administrator or editor are able to approve pending comments and manage comments. Contributors can’t see pending comments. You can also turn off comments. 1. Click on the post title or the “comment” link at the top or at the bottom of the post. 3. Enter your name and email address – your email address is hidden and only the blogger sees it. If you are logged into your Edublogs account you won’t need to add these details. 6. 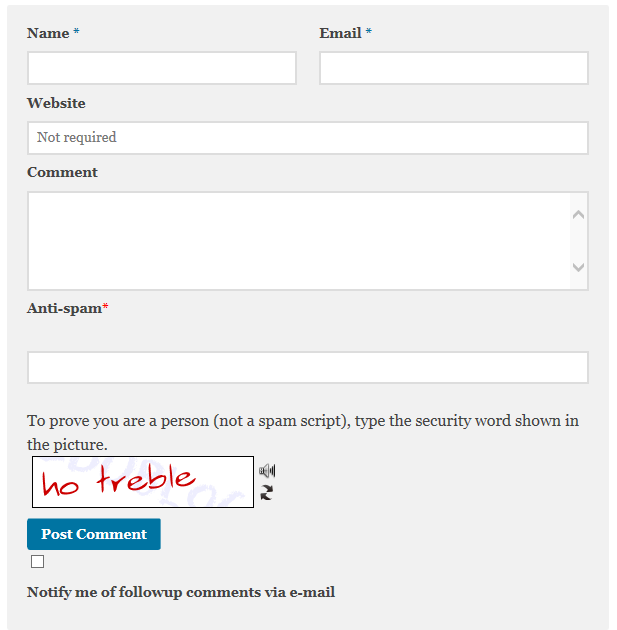 Select the ‘Notify me of followup comments via e-mail’ if you want to be notified by email to comments by other readers. 7. Now click ‘Submit Comment’. Only users on the blog who are assigned the role of administrator or editor are able to edit or delete comments left on blogs. If you need a comment deleted or edit you need to ask the blog owner to do this. Most readers are reluctant commenters, not because of lack of time, but because they feel uncomfortable leaving comments. These posts are good examples of how both the blogger and readers can interact with each other when encouraged properly.